We’d love your help. 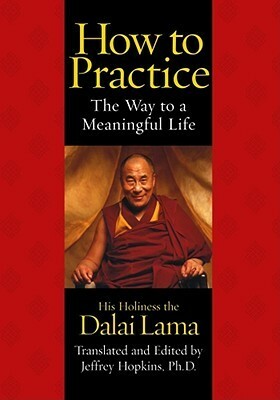 Let us know what’s wrong with this preview of How to Practice by Dalai Lama XIV. As human beings, we all share the desire for happiness and meaning in our lives. According to His Holiness the Dalai Lama, the ability to find true fulfillment lies within each of us. In this very special book, the spiritual and temporal leader of Tibet, Nobel Prize winner, and bestselling author helps readers embark upon the path to enlightenment with a stunning illuminat As human beings, we all share the desire for happiness and meaning in our lives. According to His Holiness the Dalai Lama, the ability to find true fulfillment lies within each of us. In this very special book, the spiritual and temporal leader of Tibet, Nobel Prize winner, and bestselling author helps readers embark upon the path to enlightenment with a stunning illumination of the timeless wisdom and an easy-access reference for daily practice. To ask other readers questions about How to Practice, please sign up. The Dalai Lama is incredibly quotable and there are so many fantastic examples of his simple wisdom in here. Well, I say simple but it can’t be that simple if people still fail to follow it after all these years. Despite living in an age of globalisation, we are still tragically divided. Senseless wars plague our history books and they continue to dog our steps. When will the world learn that we are all the same despite nationality, religion or skin colour? The Dalai Lama preaches that all men are equal. Despite having his own philosophical beliefs, he respects all other belief systems and encourages members of other faiths to pursue their path and attain their ultimate goals of peace and happiness. Such things should never divide us nor should politics. It all sounds extremely idealistic, but if everybody adopted a similar approach then the world would be a more peaceful place. If we all called our neighbours our friends, and ignored the minor differences and strove towards human equality and peace, rather than goals such as wealth and power, then hatred would start to die. I really needed this read right now. School has been very stressful this trimester and I feel constantly behind. Still, I did pass my comprehensive exam to graduate from the program once Clinic and classes are done. I still have the herbal program and doctoral work left to do. Then, all the hate pouring out of DC right now and just how ugly politics has become has taken a spiritual toll on me. It has really worn me down and I have had to disengage from news and stop watching and reading. This bo I really needed this read right now. School has been very stressful this trimester and I feel constantly behind. Still, I did pass my comprehensive exam to graduate from the program once Clinic and classes are done. I still have the herbal program and doctoral work left to do. Then, all the hate pouring out of DC right now and just how ugly politics has become has taken a spiritual toll on me. It has really worn me down and I have had to disengage from news and stop watching and reading. This book was a balm to me. I love to hear the wisdom from the Dalai Lama. He is such an amazing heart centered person. I have heard him speak and it was amazing. I did listen to this in my car on the way to school and back. I don't remember much from it, but I do remember how it lifted my soul up and calmed my aching spirit. His discussions on suffering were amazing and it did help me put my suffering in somewhat of a new perspective. He had a great meditation in there and some good tips to raise my vibration spiritually - which I can use right now. I kept my eyes open, obviously, and I did do the meditation with the reader and the visualization. It's interesting, the traffic becomes part of the meditation. You observe the traffic and left go of the emotions of being in it. I feel like I need to line up books like this and read more healing stuff for my soul. I am stretched thin. This was a big help to me. I probably enjoy storytelling to much to give it up though. I need a balance. If I can reach half the level of wisdom the Lama has, I will have done some amazing work in this life. I have much more to do. His holiness also speaks so openly about the pain and suffering caused him by losing his people and his city and country. It was a terrible pain he lives with. He has suffered plenty in this life. I suppose if he can survive that, then I can make it through my coarse work and stress. This is an odd book that seems to span the entirety of Buddhist practice from beginning to end. The first third of the book was easy to connect with. It talks about things in our daily lives, what the tenets or Buddhist practice are, how these two relate, and basically what Buddhism encourages people to do and why. Having studied Buddhism a little before, there were few surprises there for me but it was yet a welcome reminder and well structured. The middle part of the book tackles subjects that This is an odd book that seems to span the entirety of Buddhist practice from beginning to end. The middle part of the book tackles subjects that are somewhat familiar and desirable to me but out of my reach as of yet, like deep meditative states, practicing extreme generosity and benevolence, complete non-harm and such. The last third of the book flew right over my head. Among the subject were the luminous nature of the mind, the inherent emptiness of all things, concepts of (non-sexual) Tantra and other concepts I seem ill-equipped to fully grasp. The feeling I get from this book is that the reader's experience is going to be extremely personal. It is suitable for newcomers to Buddhism, as all the basics are described in full detail in the first sections, but they might find themselves frustrated by the last few chapters. Likewise, those that have practiced Buddhism for a long time might be bored with the level of details in the first basic chapters, but more interested by the last sections. I find this man really fascinating, but this book didn't quite get there for me. I wonder if what he preaches is too simple to be interesting in a literary format. I would be interested in reading his auto-biography. His English isn't all that hot, but his occasional anecdotal digressions are very interesting. I can't believe I'm giving the Dalai Lama TWO stars!? The good news is, I'm not going to Hell, but rather, I may be reborn as a desert rodent. I still read this book. Recently, I needed something to bring me peace during a small conflict. I opened the book arbitrarily and found just what I needed. I love this little book. It can be a wonderful guide to living peacefully and spreading peace among others. Although I have immense respect for the Dalai Lama's teachings and for traditional Buddhist doctrine, I would not recommend this book as a primer for someone who wants to learn more about Buddhism and/or meditation. The first half of the book is very general, very lightly describing basic Buddhist tenets and advising on concentrated meditation. The second half focuses on the concepts of 'emptiness,' 'inherent existence' and 'dependent-arisings' - and I came away feeling like none of these were r Although I have immense respect for the Dalai Lama's teachings and for traditional Buddhist doctrine, I would not recommend this book as a primer for someone who wants to learn more about Buddhism and/or meditation. The first half of the book is very general, very lightly describing basic Buddhist tenets and advising on concentrated meditation. The second half focuses on the concepts of 'emptiness,' 'inherent existence' and 'dependent-arisings' - and I came away feeling like none of these were really adequately explained. I would imagine that they do not lend themselves to easy explanation. The fallout is that the reader could lose his/her way through this maze of abstractions and wind up at the end of the book blinking in confusion. The Dalai Lama is such a witty character. He cracks me up and surprises me with every page of this book! It's so refreshing to read the words and advice of a religious leader that isn't stuffy and in your face about beliefs and religion. He offers great wisdom and tips on living more peacefully and happily with an open heart and mind. I came away from this feeling lighthearted and motivated to be a better person, live more fully, and experience one day at a time, with grace. I respect him so much The Dalai Lama is such a witty character. He cracks me up and surprises me with every page of this book! It's so refreshing to read the words and advice of a religious leader that isn't stuffy and in your face about beliefs and religion. This review has been hidden because it contains spoilers. To view it, click here. "Na jei pasirodys, kad mano samprotavimai jums praversti negali, tiesiog numokite į šią knygelę ranka" - paskutinis šios knygos sakinys. Visiškai nenumosiu ir parašysiu 2,5* ,nes didžioji dalis knygos turinio liko nesuprasta arba suprasta dalinai. Nepraktikuoju ir neplanuoju praktikuoti budizmo artimiausiu metu, tad aiškinimai apie dvasines praktikas, jų aprašymai kelyje nušvitimo link man buvo visiškai neaktualios ir dažnai nesuvokiamos. Kas buvo pasakyta apie gerumą, atjautą, dvasinį tobulėjimą "Na jei pasirodys, kad mano samprotavimai jums praversti negali, tiesiog numokite į šią knygelę ranka" - paskutinis šios knygos sakinys. Kas buvo pasakyta apie gerumą, atjautą, dvasinį tobulėjimą buvo geras priminimas daryti gerus darbus, rūpintis artimu, lavinti kantrybę, išmokti nuraminti sąmonę. Šitai man jau buvo aktualiau, tad iš tų nedideliu suprantamų man ištraukų pasiėmiau, kiek galėjau. A bunch of quotes from this book I need to get down, because they are valuable. "By greeting trouble with optimism and hope , you are undermining worse troubles down the line." SHELTER "Lay people can reduce the neverending quest for a better home and for the funiture and decorations in it." Imagine! This is an outright unequivocal, unapologetic suggestion that we just stop acquiring things and be happy with what we have. "Examine your attitudes A bunch of quotes from this book I need to get down, because they are valuable. "Examine your attitudes toward food, clothes, and shelter. By reducing expectations you will promote contentment. The extra energy which is released should be devoted to meditation and to achieve cessation of problems." "We should be contented in material areas, for those are bound by limitation, but not with regard to the spiritual which can be extended limitlessly." "In a sense, all human beings belong to a single family. We need to embrace the oneness of humanity and show concern for everyone--not just my family or my country or my continenet. We must show concern for every being, not just the few who resemble us. Differences of religion, ideology, race, economic system, social system, and government are all secondary"
"When you are concerned about others your own welfare is fulfilled automatically." Another one about SHELTER! "If you practice more kindness and tolerance, you will find more peace. There is no need to change the furniture in your house or move to a new home. Your neighbor may be very noisy or very difficult, but so long as your own mind is calm and peaceful, neighbors will not bother you much. However, if you are generally irritable, even when your best friend visits, you cannot become really happy. If you are calm, even your enemy cannot disturb you." This book is a good introduction to Tibetan Buddhism. It is generally set up to provide specific daily practices (visualizations, thoughts and meditations). I enjoyed the chapters on the basics and practicing morality, but after that, I found that the descriptions became less coherent. That could either be a translation issue or perhaps I'm not at the understanding level yet. Either way, the most meaningful parts of the book were nearer the beginning. Portions of the book are redundant in that a This book is a good introduction to Tibetan Buddhism. It is generally set up to provide specific daily practices (visualizations, thoughts and meditations). I enjoyed the chapters on the basics and practicing morality, but after that, I found that the descriptions became less coherent. That could either be a translation issue or perhaps I'm not at the understanding level yet. Either way, the most meaningful parts of the book were nearer the beginning. Portions of the book are redundant in that a practice is explained to you and then is summarized in the exact same words at the end of the chapter. I must admit that that feels a little like watching a Teletubbies show. I would have liked a slight difference in text between the two. No matter your current place on your spiritual journey, or the religion that you associate with, there are bits in this book that can lead to a more compassionate world. Advice such as helping to relieve suffering even for ants in puddles. This was my first real introduction to Buddhism. Since the purpose of this book is teaching how to achieve enlightenment, it doesn't cover things like Buddhist history or explanations of the basic concepts and so I realize I have a lot to learn to understand this religion. There are essentially 3 steps to enlightenment: Practicing Morality, Concentrated Meditation and Practicing Wisdom. These are the steps to totally enlightenment and becoming a Buddha, as such they go beyond the layperson. My goa This was my first real introduction to Buddhism. There are essentially 3 steps to enlightenment: Practicing Morality, Concentrated Meditation and Practicing Wisdom. These are the steps to totally enlightenment and becoming a Buddha, as such they go beyond the layperson. My goal is not to become a Buddha (I'm not even a Buddhist!) but to find peace of mind and be a more compassionate person. So, I found much of this to be beyond my willingness to practice. The Practicing Morality section interested me the most and there are things here that I really took away. While I can respect and strive for nearly every aspect of the Dalai Lama's teaching here, some parts have me thinking more than others. The meditation section of the book was a bit over my head. I'm going to go back to it, or find another resource. The wisdom chapters were where things got totally out of my grasp. He says that it takes lifetimes to fully master morality and meditation enough to fully start to understand wisdom, so I don't feel too bad about not getting it. is the need to constantly practice and lower expectations of immediate rewards. "To develop the practice of compassion to its fullest extent, one must practice patience." The book is an interesting read to reemphasize simple and common aspects of life we seek to inculcate yet are so hard to practice everyday. Less of a handbook than I imagined from the title, and yet I was inspired by the breadth and depth of his own practice. The commentary on wisdom and reality are the clearest I’ve ever come across, making impenetrable paradoxes - “form is emptiness; emptiness is form” - understandable to me for the first time in any meaningful way. It expanded my view of nothingness; I can now understand emptiness as inherent without indulging in nihilism. I've also come to believe that the Dalai Lama has infinitely pinchable cheeks. Some very solid ideas on how to put things in perspective. Loved the part about the role of enemies in your life. I really enjoyed the first part of it, which focused on benevolent intent. The later part with "inherent nothings", "spontaneous arisings", etc - I just did't get. Works of Buddhist Psychology & of the Dalai Lama's probably helped me get through 2016. Let's hope it help me get through 2017. One of my favorite books, very inspiring and makes me strive to live a more compassionate life. I have read many books by His Holiness The Dalai Lama and I love them all. This was an interesting read. The book contains good advice to have a meaningful life and it is also a guide for those searching for purpose or are intrigued about Buddhism. The Dalai Lama, the well-known, beloved and respected spiritual leader of the Tibetan people, tries to explain with simplicity the concepts and practices of a doctrine that has inspired many. However, I didn’t find it particularly easy to follow. It mostly defines the three main aspects to practice Buddhism: Morality, Concen This was an interesting read. The book contains good advice to have a meaningful life and it is also a guide for those searching for purpose or are intrigued about Buddhism. The Dalai Lama, the well-known, beloved and respected spiritual leader of the Tibetan people, tries to explain with simplicity the concepts and practices of a doctrine that has inspired many. However, I didn’t find it particularly easy to follow. It mostly defines the three main aspects to practice Buddhism: Morality, Concentrated Meditation, and Wisdom. The main principle of Morality (or the essence of Buddha’s teaching) is to “help others and, if that is not possible, at least do no harm". This is simple enough to understand, and it is also at the core of many others beliefs and perhaps basic for good human interactions. The other two, Concentrated Meditation and Wisdom, are harder to summarize and consequently, at least for me, it would require a deeper level of conceptual understanding (more reading). Meditation is also difficult to explain, but many people of different backgrounds and faiths (or faithless) attest to its benefits; it’s something worth trying. Finally, it is hard to imagine what enlightenment feels like per these teachings. Overall, “How to Practice: The Way to a Meaningful Life” is a good introduction for those who are considering practicing Buddhism or it is simply good information for the inquisitive. Nonetheless, it wasn’t easy for me to connect with all the basics and techniques described here, and to be honest, my mind wandered. I have always been fascinated with Buddhism ever since I took a course in college on different types of religions and what is their belief on animals' wellbeing. I instantly connected with the Buddhist view on animals and one of my favorite quotes is said by Buddha: "Be kind to all creatures. This is the true religion." This is where most of my low review lies. In the book, Dalai Lama says that we should not request special foods because this leads to discontent. We must take what is given to us I have always been fascinated with Buddhism ever since I took a course in college on different types of religions and what is their belief on animals' wellbeing. I instantly connected with the Buddhist view on animals and one of my favorite quotes is said by Buddha: "Be kind to all creatures. This is the true religion." This is where most of my low review lies. In the book, Dalai Lama says that we should not request special foods because this leads to discontent. We must take what is given to us and that's it. Then he goes on to say that monks aren't NECESSARILY VEGETARIAN because of this reason. This bothered me. It bothered me even more when later on in the book he said it is best to be vegetarian but meat can be eaten on occasion. In my personal opinion, if you eat meat, you are endorsing the harm of innocent creatures. This goes directly against the "do no harm" core of Buddhism and the quote from Buddha above. After reading this, it was hard to move on in the book. Not to mention that last portion of the book was quite confusing and I wasn't sure what he was speaking of. What I did like, was the overall message of Buddhism. That is why I connect with Buddhism. These things are what I live by. I have no religion but I like to say my religion is to be the kindest and most compassionate person I can be. However, I don't think I'll be adopting a Buddhist way of life any time soon. It takes an enormous amount of dedication, sacrifice, and mental strength so I applaud all Buddhist for that. Overall, not my favorite book. It was dry at times and hypocritical at times as well. It has been a long conference season this year, and I was much in need of something to help me refocus and find some tranquility, so the writings of His Holiness seemed like a logical choice. While I haven't started practicing any of the teachings from this book (yet), it did help me stay focused and relatively calm through some stressful situations, primarily because I had to concentrate on what I was reading. I found that, as with a lot of religious and philosophical writing, what seems at fir It has been a long conference season this year, and I was much in need of something to help me refocus and find some tranquility, so the writings of His Holiness seemed like a logical choice. While I haven't started practicing any of the teachings from this book (yet), it did help me stay focused and relatively calm through some stressful situations, primarily because I had to concentrate on what I was reading. I found that, as with a lot of religious and philosophical writing, what seems at first to be a simple concept usually actually requires a lot of unpacking. Here, the concept of emptiness actually meaning that there is no inherent being really required some mental gymnastics to embrace. I really wanted to like this book, the concept was really sturdy and seemed very practical. However when I started to read, I found that a lot of concepts were not explained thoroughly and that some concepts seemed to run in circles, with no clear definition or direction. Maybe if somebody knows a lot about Buddhism then they would find this easier to read but I feel as if the first half was decent, though not overly detailed and later on in the book we were given a lot of little pieces but not I really wanted to like this book, the concept was really sturdy and seemed very practical. However when I started to read, I found that a lot of concepts were not explained thoroughly and that some concepts seemed to run in circles, with no clear definition or direction. Maybe if somebody knows a lot about Buddhism then they would find this easier to read but I feel as if the first half was decent, though not overly detailed and later on in the book we were given a lot of little pieces but not the true way to practice every day, or how to change our daily perspectives. Tenzin Gyatso was the fifth of sixteen children born to a farming family. 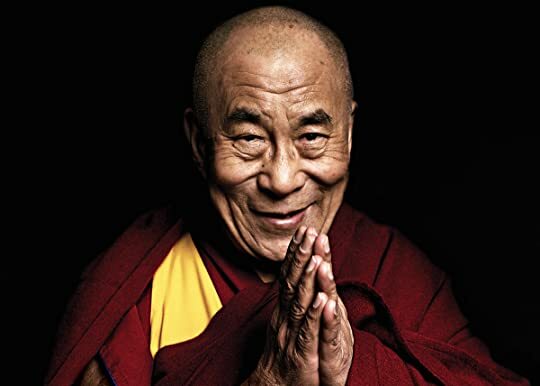 He was proclaimed the Jetsun Jamphel Ngawang Lobsang Yeshe Tenzin Gyatso (born Lhamo Döndrub), the 14th Dalai Lama, is a practicing member of the Gelug School of Tibetan Buddhism and is influential as a Nobel Peace Prize laureate, the world's most famous Buddhist monk, and the leader of the exiled Tibetan government in India.